Original Location: 30 S. Ivanhoe Blvd. E.
From Brian Douglas; "Just a couple of comments on WDBO-FM... originally, the station simulcast WDBO-AM 100%. 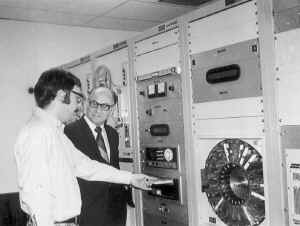 I know that lasted well into the 1970's, if not longer. 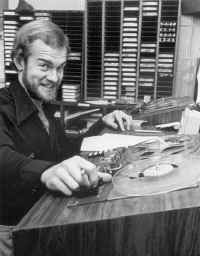 There was no separate FM programming, so WDBO AM/FM were MOR/full-service during this time. The station transmitted in mono. 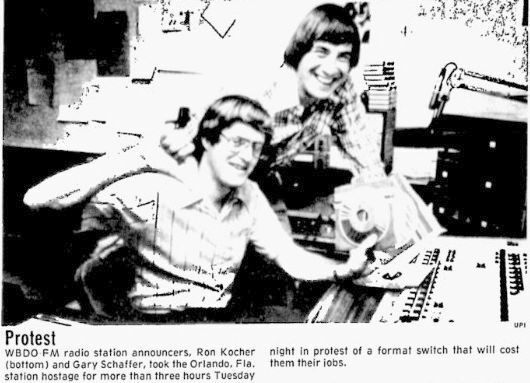 "...About 6:15 p.m., announcers Gary "Dutch" Schaeffer, 41, and Ron Kocher, 23, locked themselves in the WDBO-FM control booth and told the radio audience they had taken it over in protest of the change, scheduled for January." 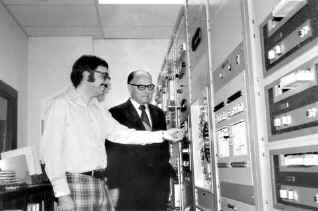 "Three hours and 20 minutes later, the station management and the announcers, who had been joined by broadcaster Lon Wagner, 33, worked out an agreement." "Morton Downey, Jr., host of WDBO-AM's "Nightline" talk show, fielded calls from listeners as he took on the role of mediator between the FM announcers and the new management led by (Robert "Bob") Longwell." Dutch Schaffer (Gary J. Schaffer)-1982-Music Director-Katz Broadcasting Gary passed away in St. Augustine in 2013. 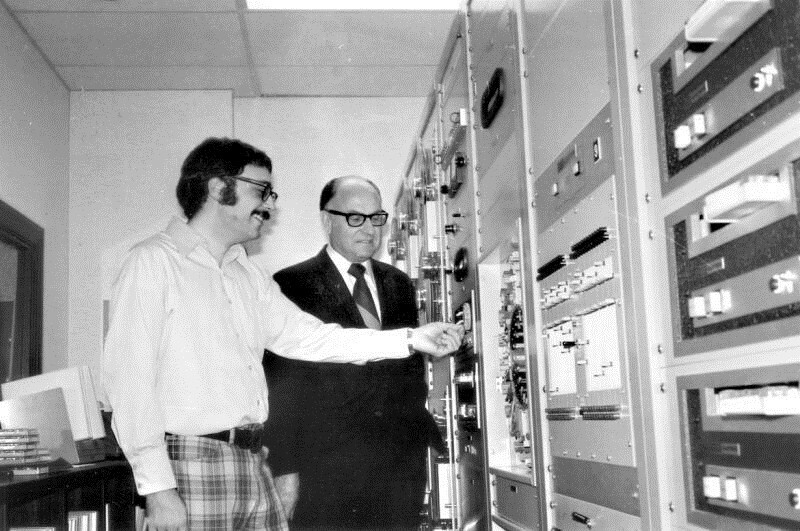 WDBO General Manager Carl Hallberg (right) watches as Chief Engineer Corey Meyer program the Gates-SP-19 automated system in 1971.